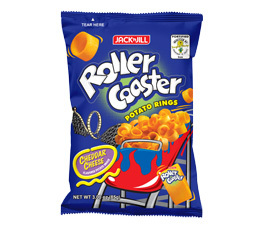 Hexagon-shaped potato crisps made from the finest potato ingredients and are distinctly thin, bringing out the fullness of its unique flavours. 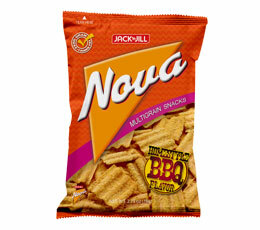 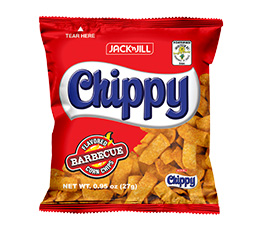 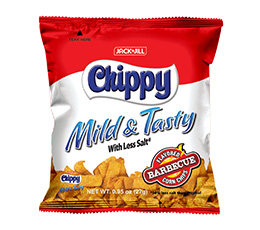 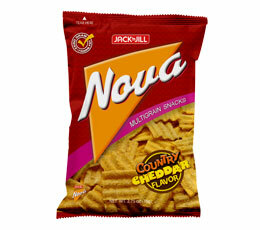 An incredibly crunchy snack with a distinct barbecue taste that makes it the barkada's go-to comfort snack. 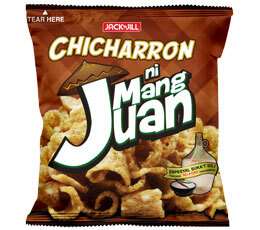 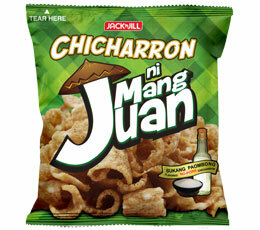 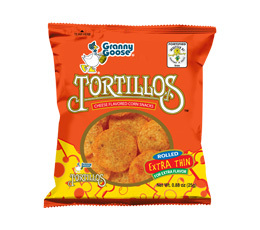 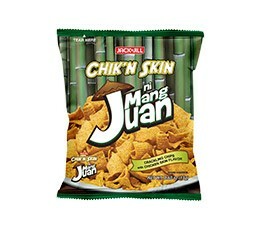 Your favorite tasty snacks that capture the Pinoy goodness of chicharron and fried chicken skin in exciting flavors! 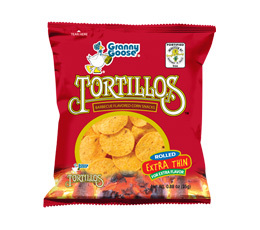 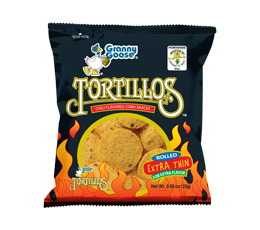 100% stone-ground go-to corn chips in Barbecue, Cheese and Chili flavors. 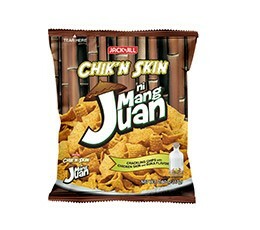 A light multigrain snack made from four fiber-rich grains that can only do your body good. 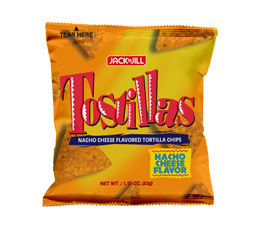 High quality nacho chips with a unique crunch in awesome cheese flavor that is great to eat as is or with dips. 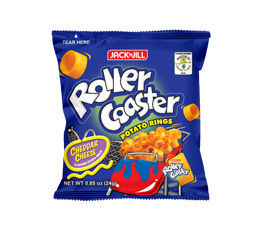 The kiddie snack that comes in a delicious flavor and an exciting ring shape that youngsters can enjoy! 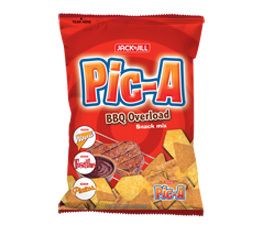 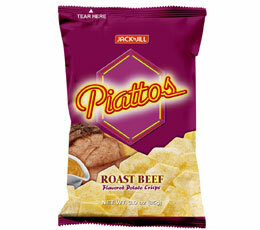 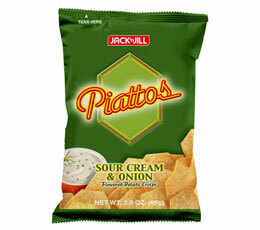 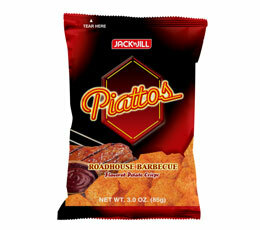 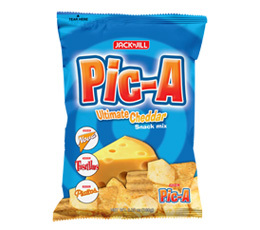 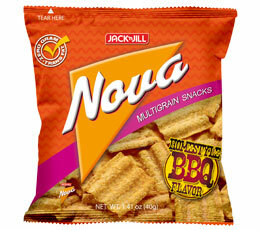 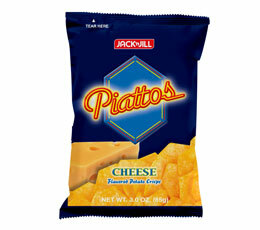 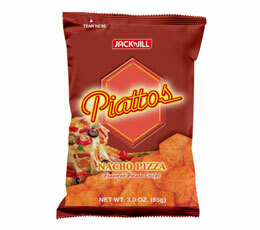 The ultimate 3-in-1 snack mix with the combination of your all-time-favorite Jack ‘n Jill snacks – Piattos, Nova, and Tostillas. 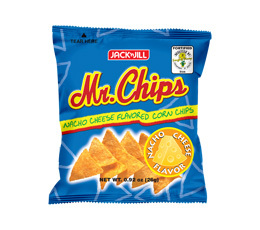 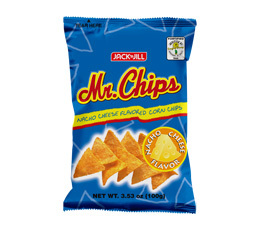 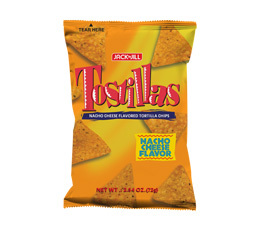 Simple, uncomplicated corn chips snack with just the right crunch and flavor. 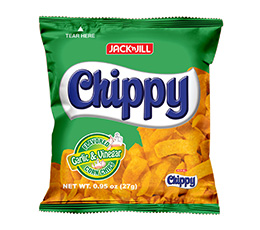 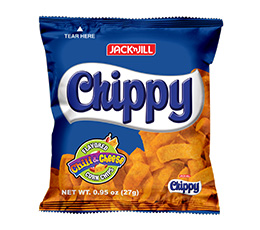 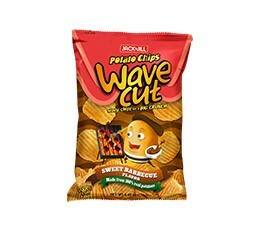 Wavy chips with a big crunch made from 100% real potatoes that are cooked to a golden crisp.